Mona is a marketeer by training and a birdwatcher by passion. Her experience ranges from door-to-door sales, high-school English teacher, marketing strategist in a bank, tour operator, and even a muffin-and-cookie-maker in a cafe! 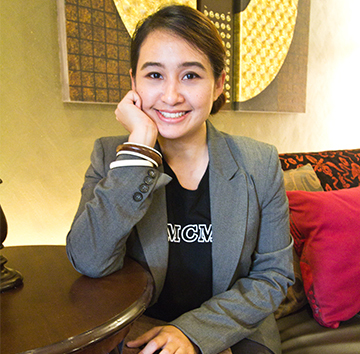 Mona believes in and has passion for guerrilla marketing and inbound marketing. She claims she gets marketing ideas in the shower. As a PCO, she believes heavily in destination marketing and collaborative partnerships among industry players in order to create a critical mass effect of lifting the whole industry and thus grow the individual businesses in the process. When pried off work, she loves birdwatching, camping, reading, playing the guitar, listening to the Beatles, and anything to do with the VW Beetle.